A rare candlestick pattern which can indicate either a new bullish or a new bearish trend. 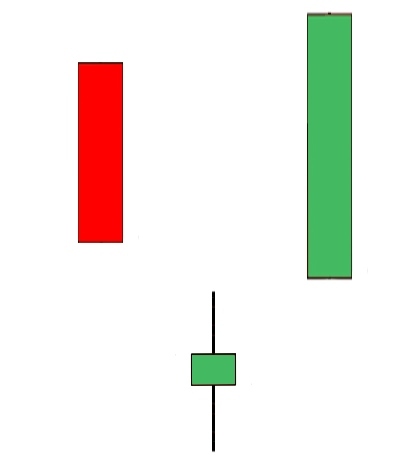 A bullish abandoned baby pattern occurs where there is a long red candle, representing bearish sentiment, at the end of an established downtrend which is then followed by a lower doji formation and finally a strong upward candle where the open is higher than any point in the previous day’s doji. The bearish abandoned baby pattern is the opposite.